Whenever there is a family film ready for release, the excitement is quite huge, especially in the overseas areas. All the NRI’s love watching films with family values as they are staying quite away from India. 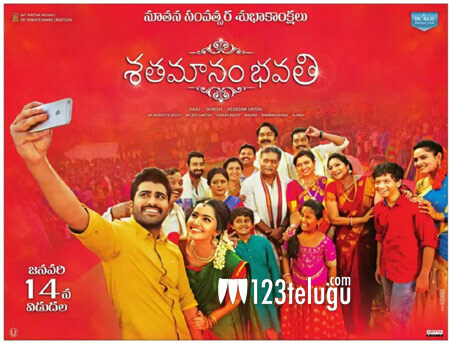 One such film which is being eagerly awaited all over is Sharwanand’s Shatamanam Bhavati. The film is carrying a superb buzz in the overseas area and some special shows are being planned two days in advance in many important areas in the US. Produced by Dil Raju, this film has Anupama Parameswaran as the female lead. Jayasudha and Prakash Raj play important roles in this film which is up for a Sankranti release.